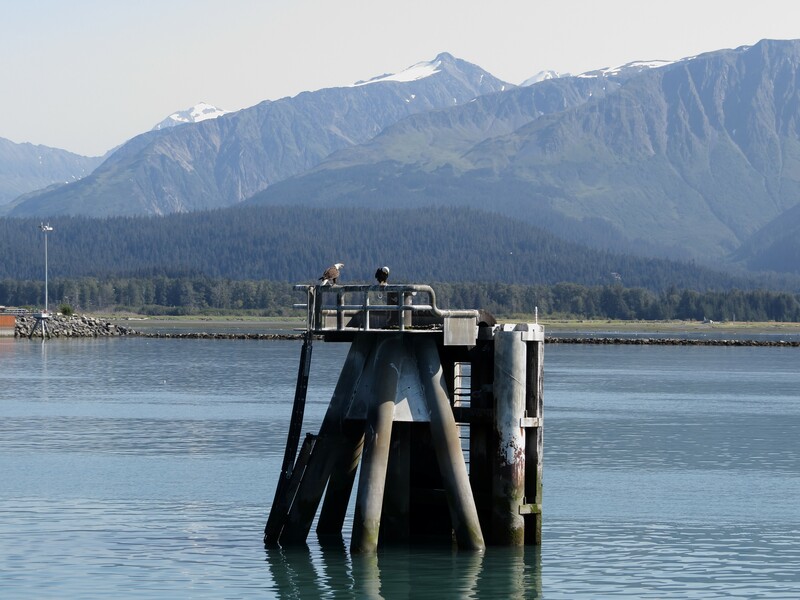 Speaking of epic, what better way to distract oneself from summer birding woes than to fly to Alaska? When I noticed ticket prices out of PDX were under $200 it was a no-brainer. 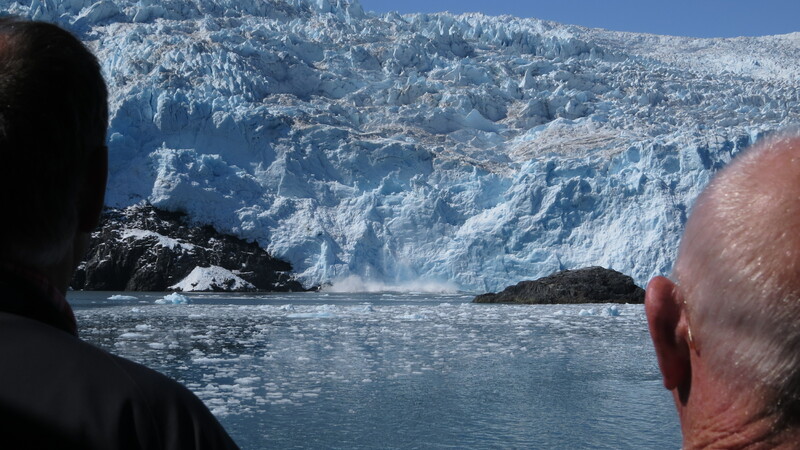 I once visited The Last Frontier with my family about a decade ago, and I was long overdue for a return visit. 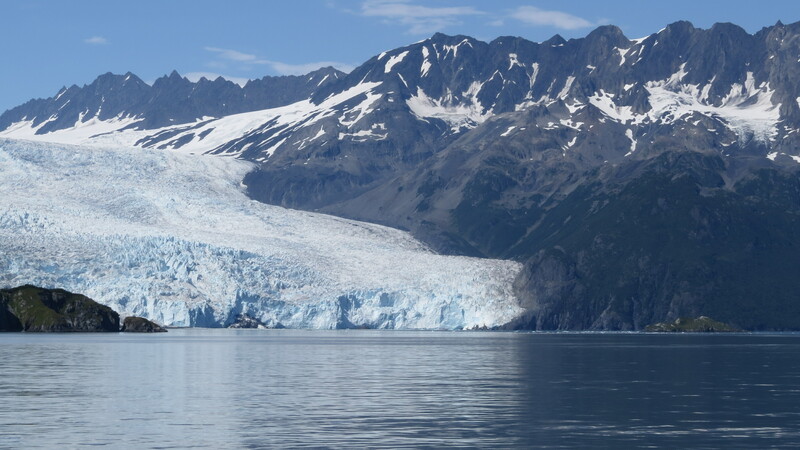 After landing in Anchorage, Tomas and I bused 3 hours south to Seward, and boarded a boat for a 6-hour tour along Resurrection Bay in Kenai Fjords National Park. What a magical place. Words don’t do it justice. It helped that the weather was 70 degrees and sunny (!). In a locale that gets 11 fewer sunny days on average per year than Portland, OR, we beat the odds and for that I am so thankful. 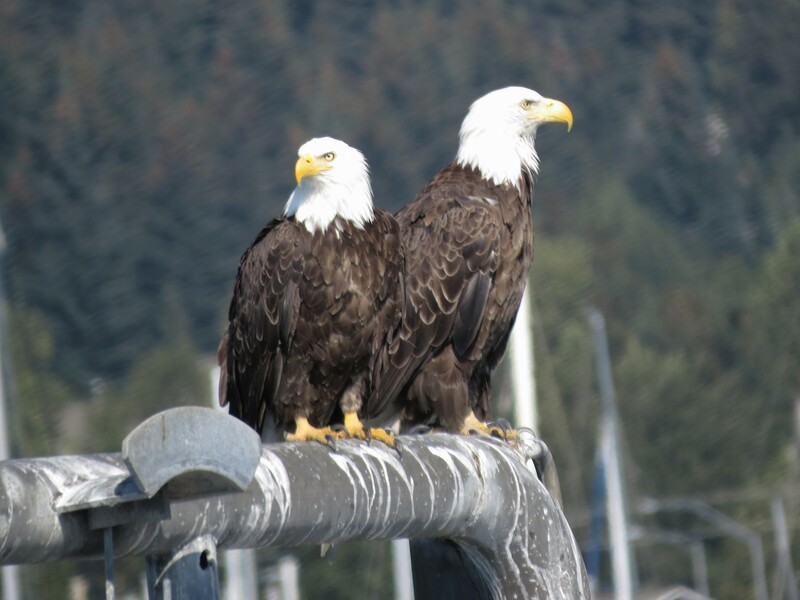 Out from the gate, Bald Eagles. Because Alaska. 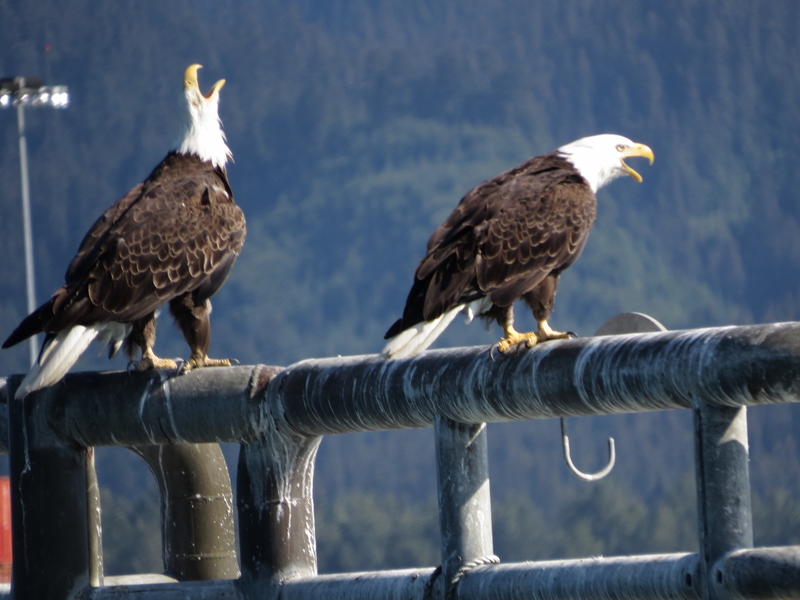 A few things about birding by boat. This was my first time testing the waters and it’s tough! 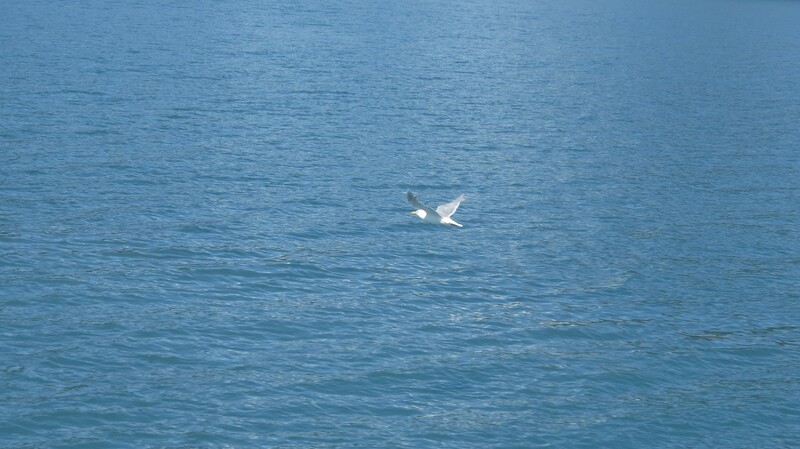 The boat is moving, the birds are moving, the light is changing. I’m glad it was sunny or else all my pics would be blurry. So many were anyways due to the motion, but it was still good practice. 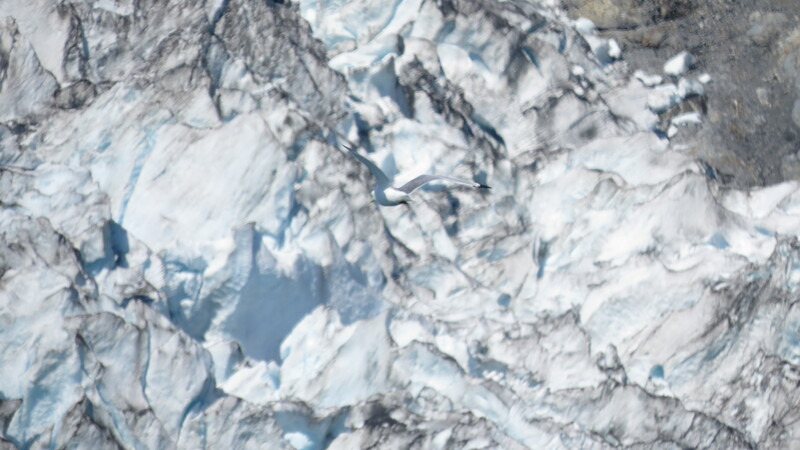 Also, this was not a pelagic birding trip specifically, so we didn’t spend a ton of time chasing birds. 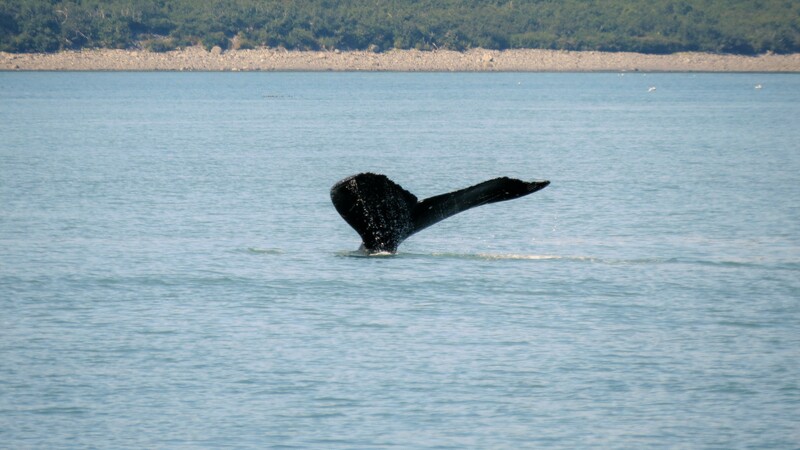 But that’s okay, because we did find whales and they’re pretty cool too. 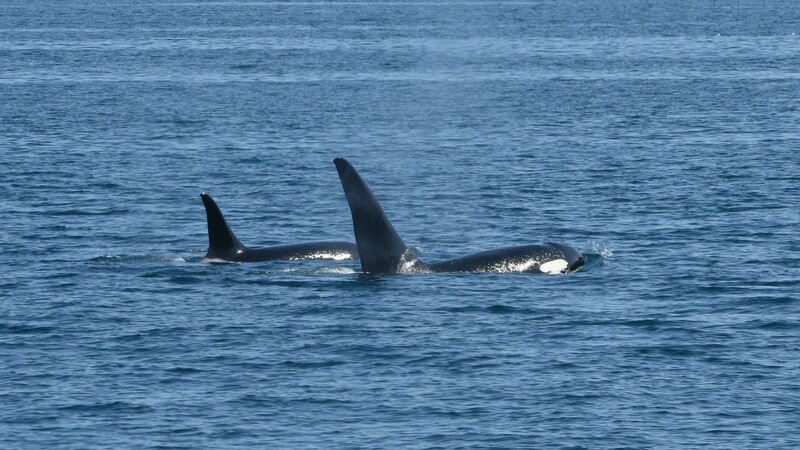 Orcas! Wow. 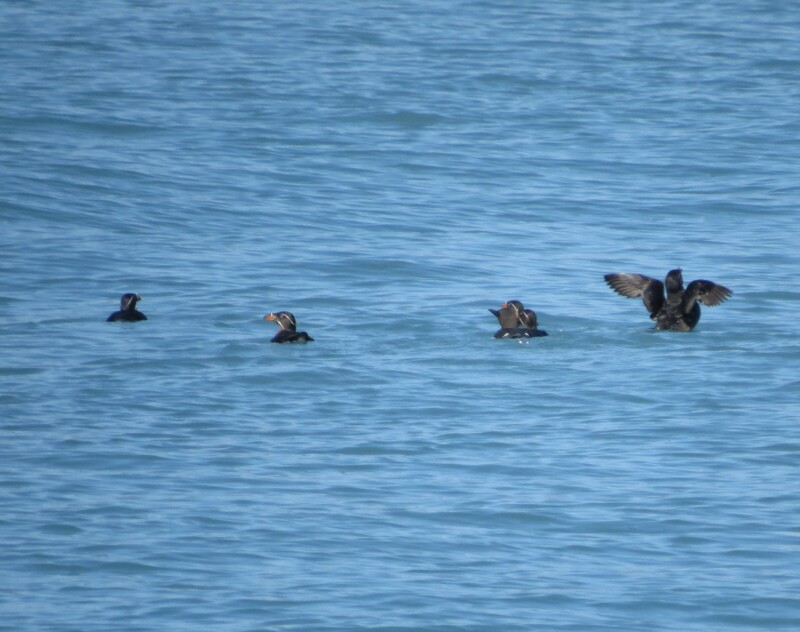 And puffins! 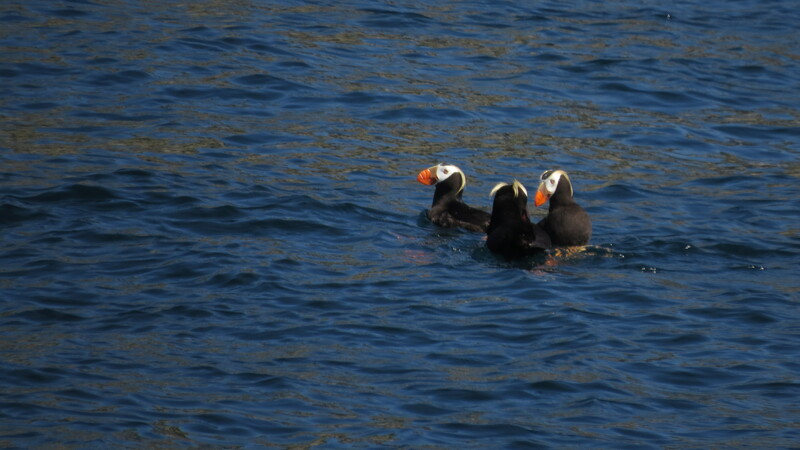 Horned and Tufted Puffins! Positively dapper. 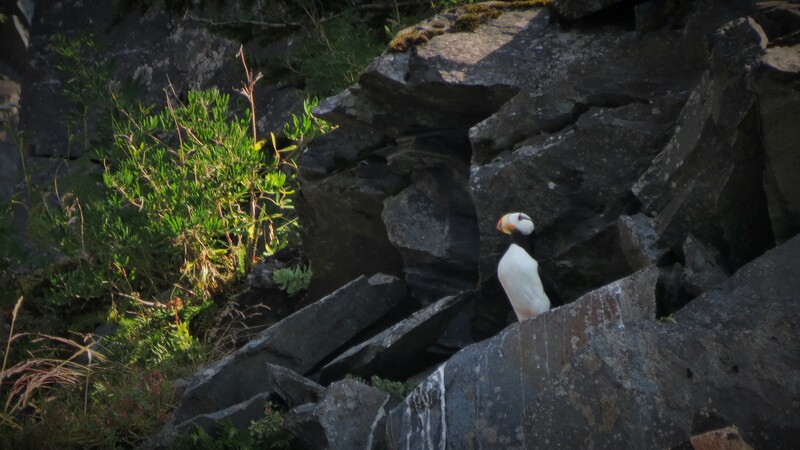 The two types are easy to distinguish in flight as Horned Puffins have a white chest and Tufted Puffins are black underneath. Here is an excellent puffin reference, where I learned I actually saw a third puffin species (out of four), the Rhinoceros Auklet. 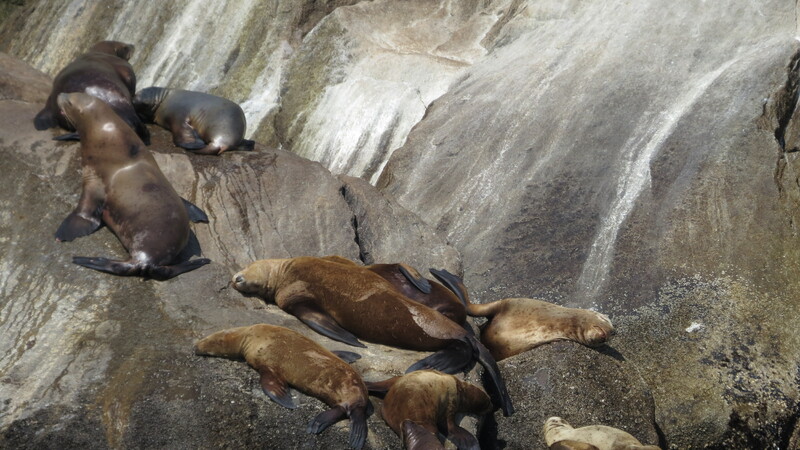 Past the Stellar Sea Lions and a left at the Sea Otters, the captain honed in on a whale spout she noticed far off in the distance. 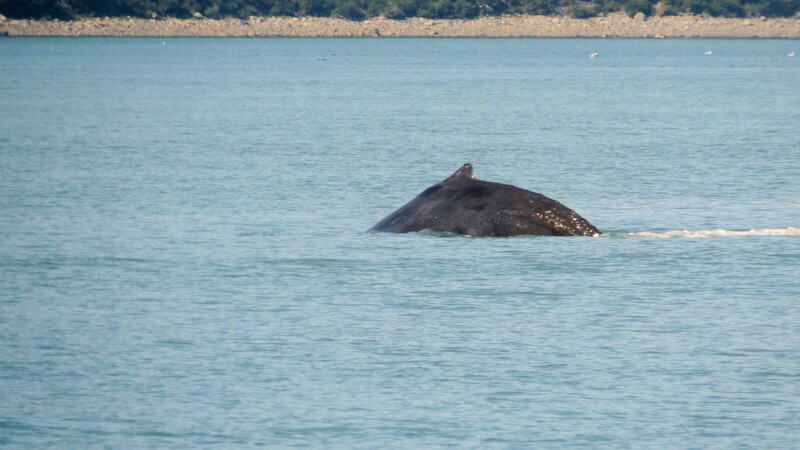 Turns out it was a Fin Whale. 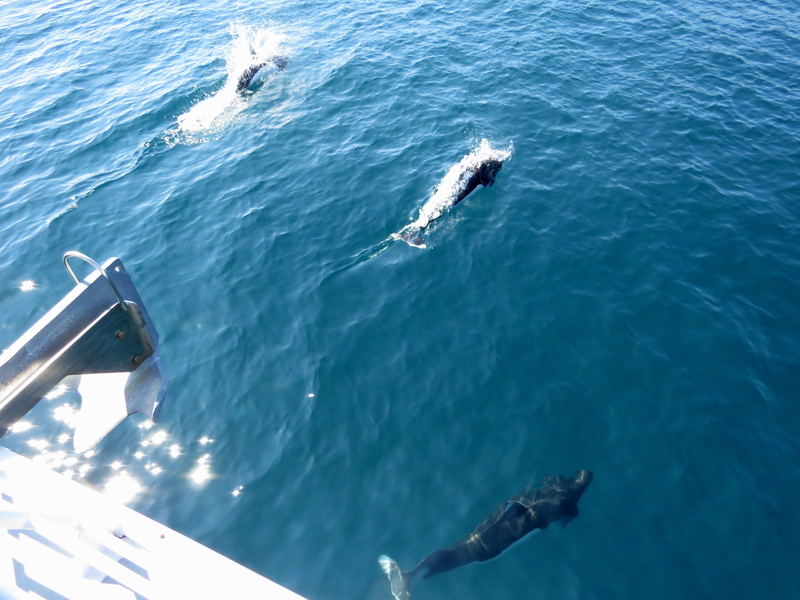 Or more specifically, a pod of four Fin Whales. 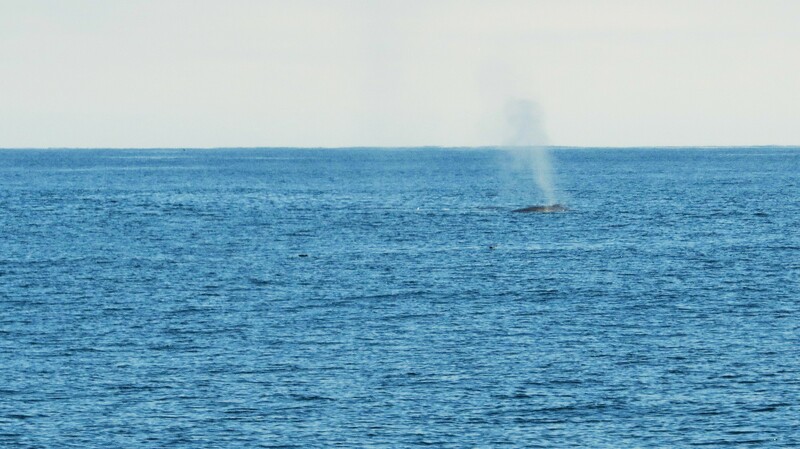 I’d never hear of a Fin Whale before, but now I’d seen four of them. Thanks Alaska. 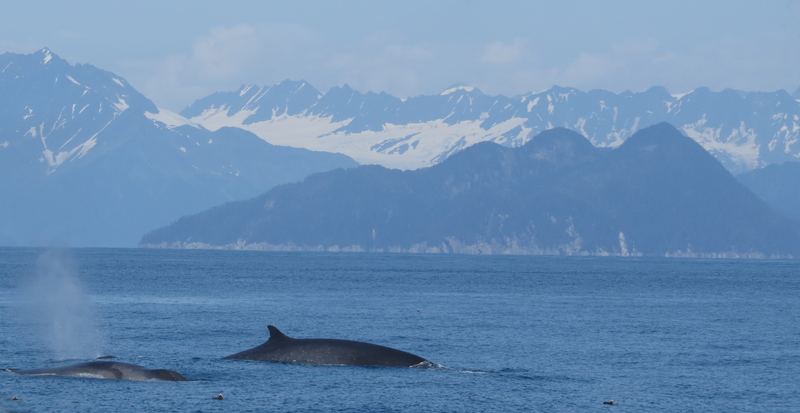 Fin Whales are the second largest mammal on earth (after the Blue Whale) and they are endangered. 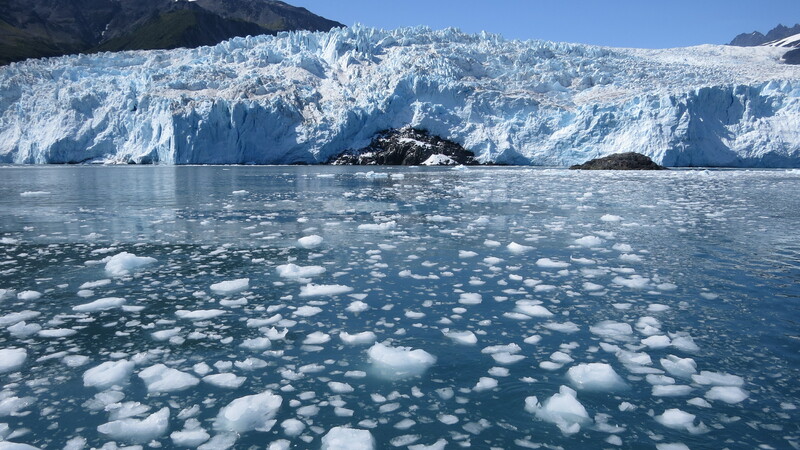 We reached our glacial destination at Aialik Glacier shortly after. 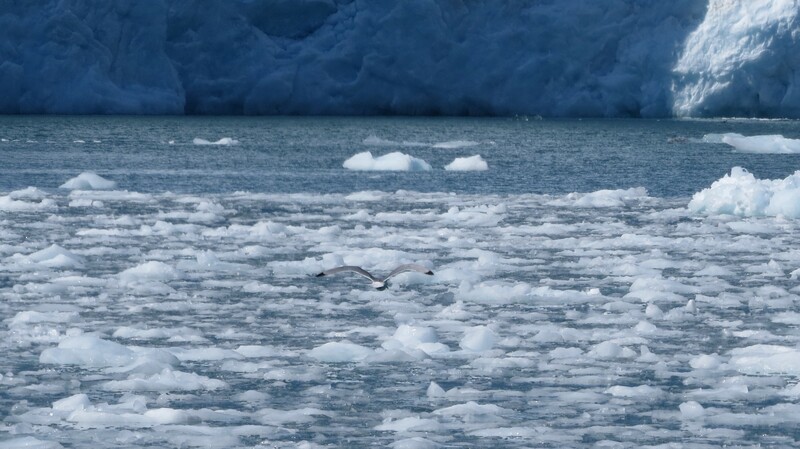 We spent some time watching the calving icebergs, while I ran around the boat taking pictures of the Black-legged Kittiwake (small unmarked yellow bill, white underparts, black wing-tips, black legs). 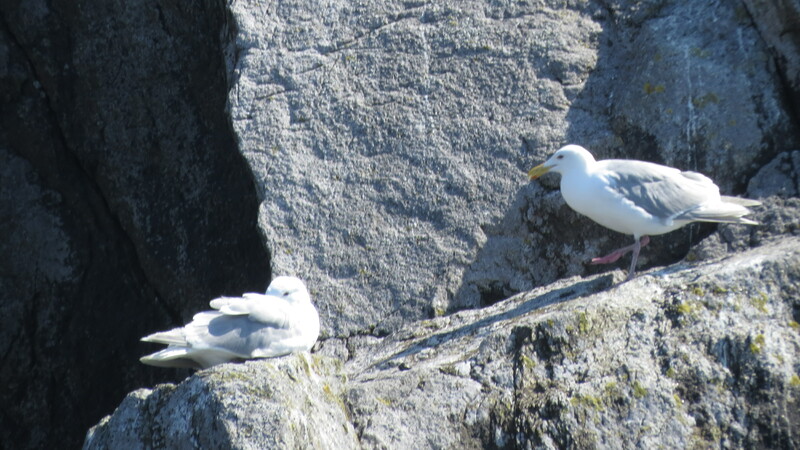 On the return voyage to Seward, we saw Glaucous-winged Gulls on rocks (pink legs, gray wing-tips). 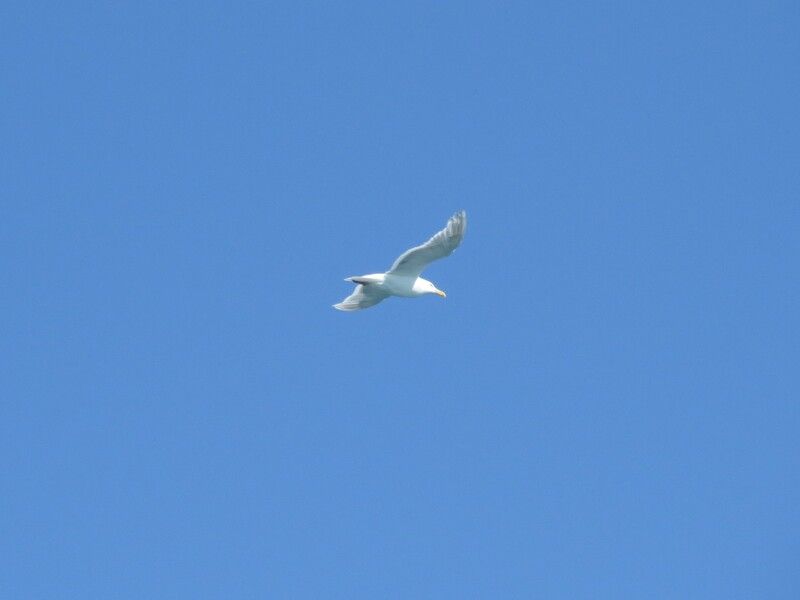 And Glaucous-winged gulls in flight (gray wing-tips, white underparts). 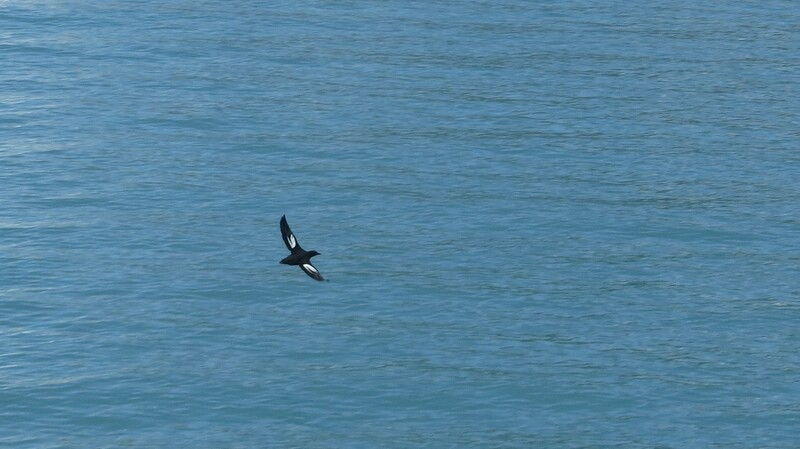 And to break things up, this bird, clearly not a gull, all black with a dark bar across the white wing coverts, a Pigeon Guillemot! Exciting find. 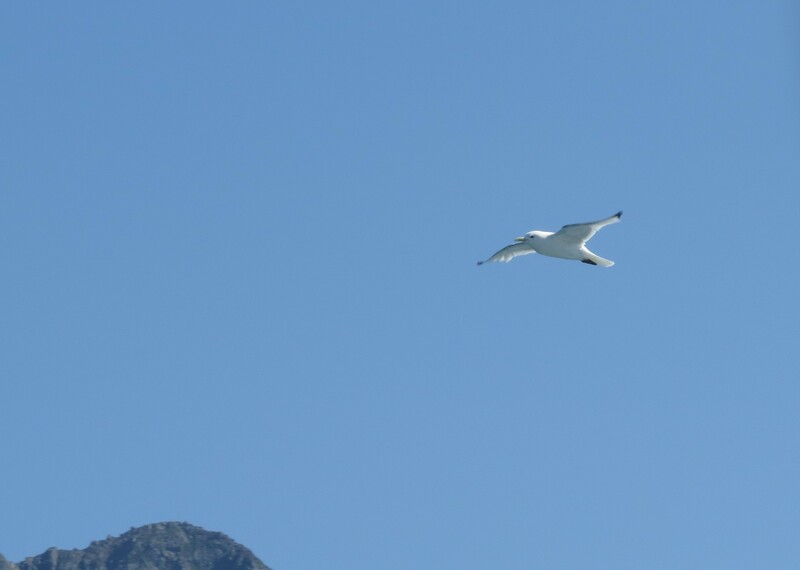 And back to gulls. 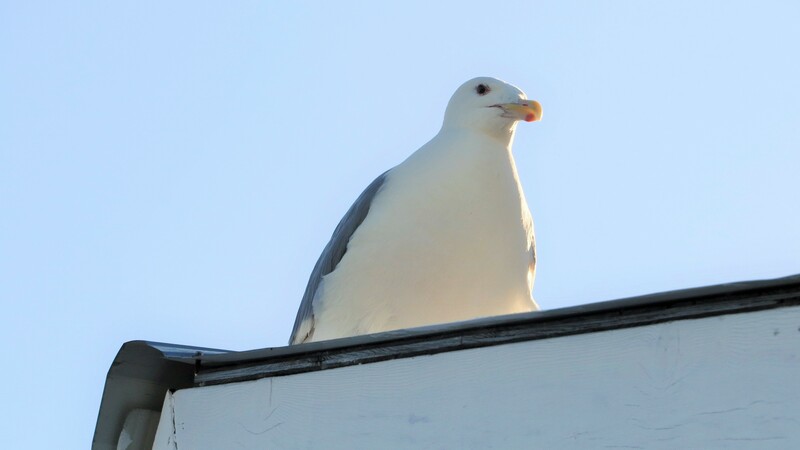 Herring Gull (First summer). 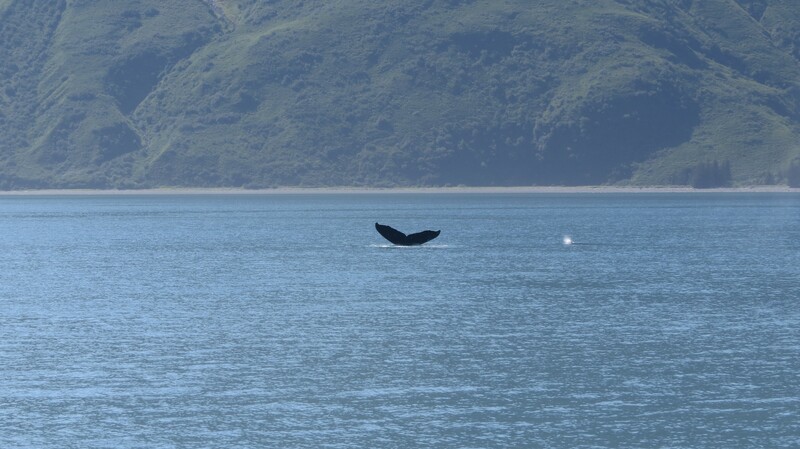 And because everybody loves a Humpback Whale tail! Ooooh, aaahhhh. 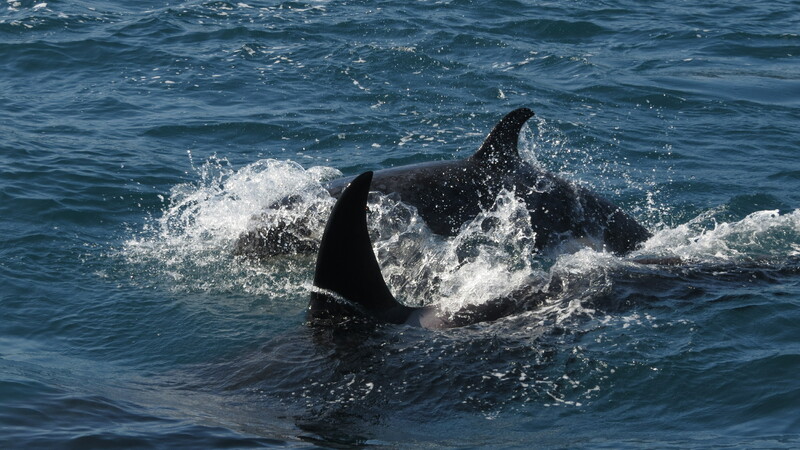 Finally, this trip report would not be complete without some Dall’s Porpoise action. Their job is to speed along at the bow of the boat, jumping enthusiastically, while the crowd cheers. Woooooo! What a crazy-fun excursion. Did that really happen? 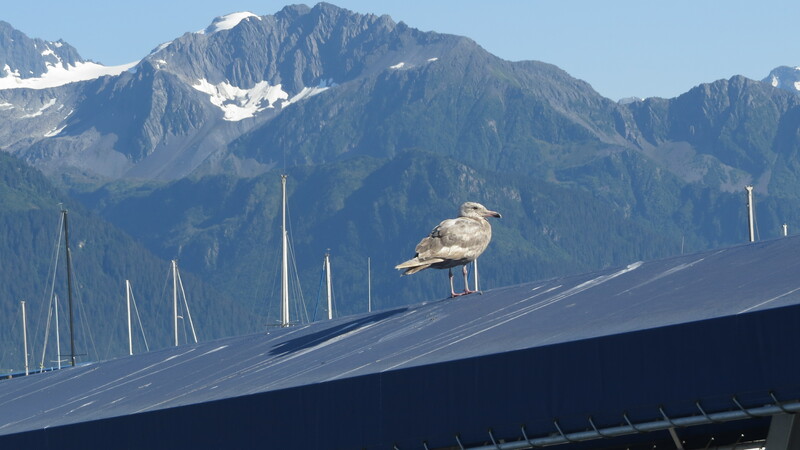 And this was just day one of our Alaska adventure. The following day we would board a train en route to Denali National Park to explore the backcountry. 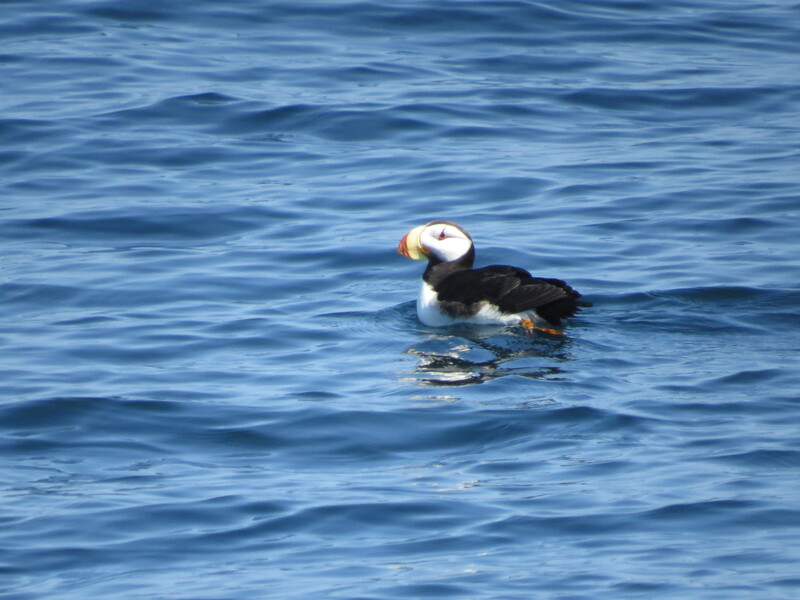 This entry was posted in Birding Trips and tagged Bald Eagle, Black-legged Kittiwake, Common Murre, Glaucous-winged Gull, Herring Gull, Horned Puffin, Pigeon Guillemot, Rhinoceros Auklet, Tufted Puffin by audge29. Bookmark the permalink. Yum! What a cool boat trip! I seriously need to go there. 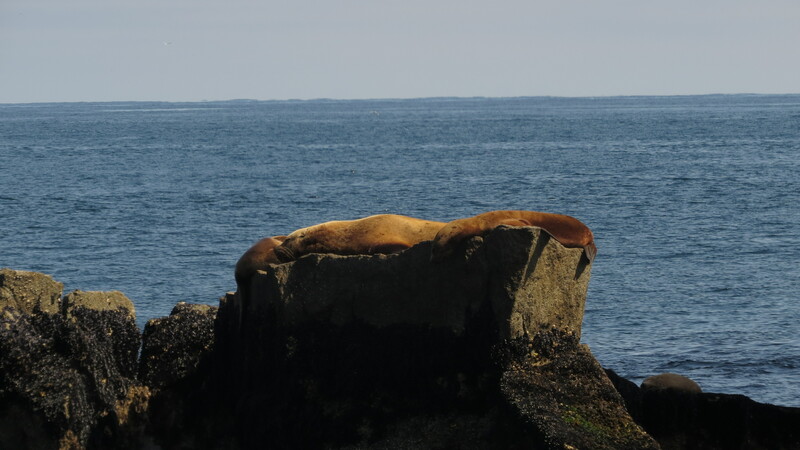 I was a whale nut before I was a bird nut, and I’m still working on my cetacean life list (though fin whale is on it). 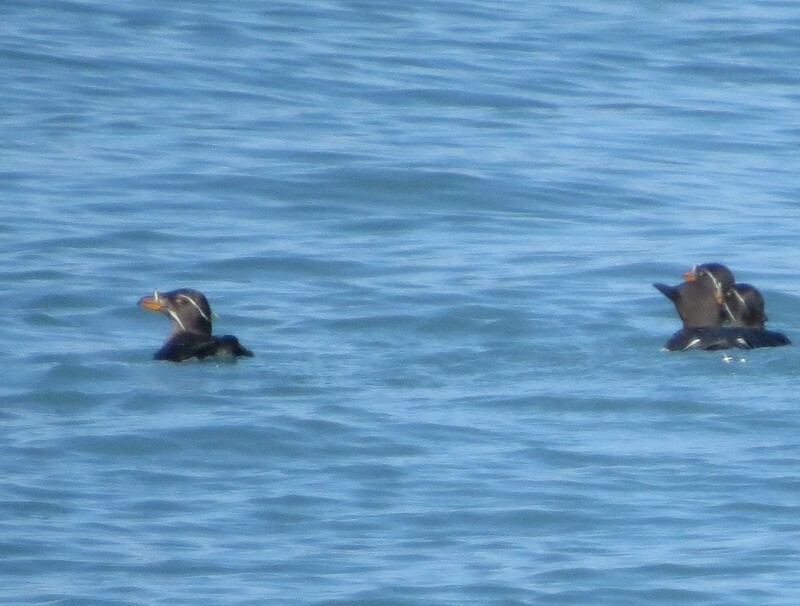 and Those puffins! Looking forward to more posts. Awesome post!! 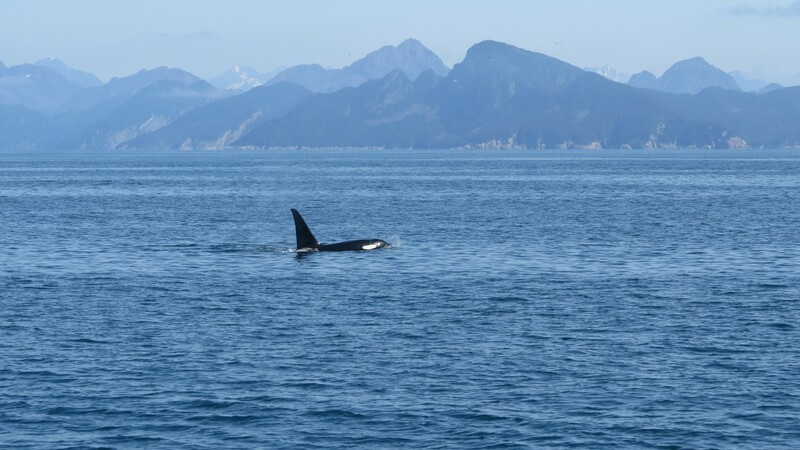 So much stuff I would love to see- the orcas and the porpoises especially. 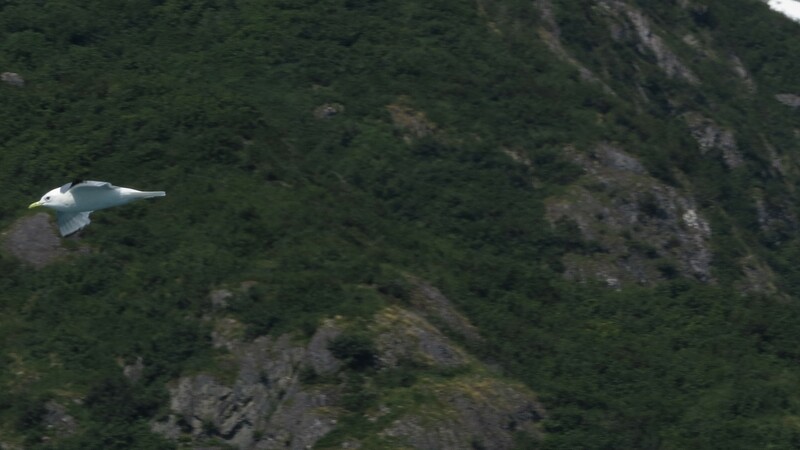 As someone who spent 8 hours on a boat yesterday trying to take photos, I feel your blurry photo pain. Looking forward to more from this trip! Thank you!! And, yep. Pretty much like trying to take pictures while jumping up and down. 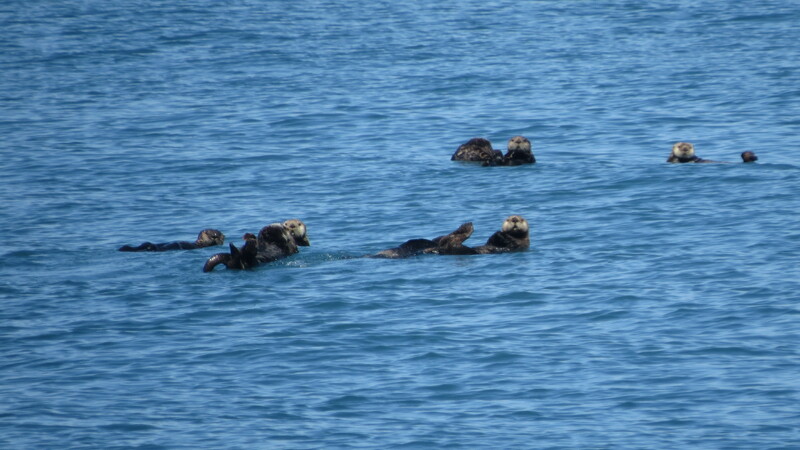 Your pelagic trip looked awesome!! I’ve signed up for on later this fall! Feeling pretty lucky the coast is so close.